Palm Cay is a gated, 55+ community for active adults in Ocala, Florida. Palm Cay is a small, intimate community of 795 homes, nestled back off Highway 200. 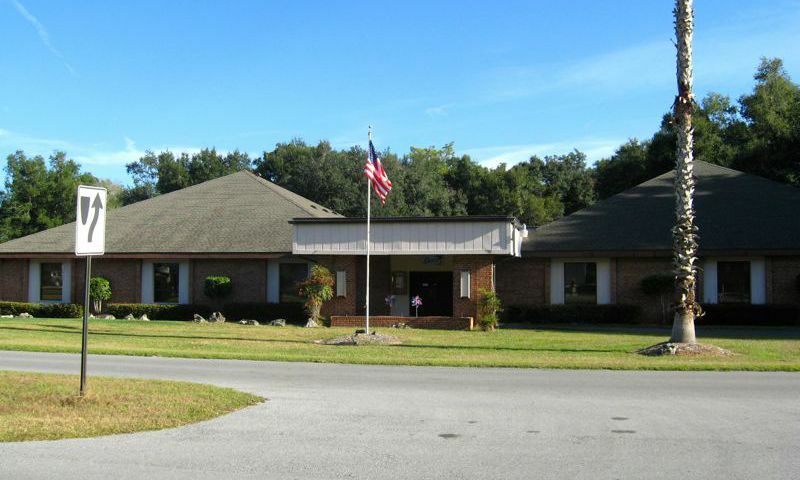 This is one of the most affordable gated communities in all of Ocala. All single-family homes in Palm Cay are small to medium in size, but sit on large lots with beautiful, mature landscaping. The Oasis clubhouse is the hub for all social and recreational activities at Palm Cay. The Oasis features a library, billiards, card room, arts and crafts room, and a catering kitchen. An outdoor pool beckons to enjoy the Florida sunshine, while tennis, bocce ball, and shuffleboard facilities call out for friendly competitions. If competition turns a little more active than planned, residents can relax in the spa. Scenic landscapes with walking and biking trails provides peace and serenity. For out of town visitors, RV parking is available. Construction in Palm Cay started in 1985 and was completed in 1992. These resale homes tend to feature more traditional styling with formal living and dining rooms, and homeowners in this community take pride in ownership and maintaining their homes. Homes range in size from 800 to 1,500 square feet with one to three bedrooms, one to two bathrooms, and an attached one to two-car garage. Large acre lots give lots of privacy, yet the residents are very much involved with each other on a social basis. Residents at Palm Cay are very motivated, and care about what goes on in their community. The Palm Cay Homeowners Association distributes a monthly newsletter, which includes schedules of all the activities, social events, and trips residents organize and partake in. There are also plenty of articles about previous or upcoming social events, as well as notices about what goes on in Palm Cay in general. Any resident is welcome to contribute, join, or start a club. There are clubs that cater to different games, such as: scrabble, bingo, bunco, canasta, pinochle, mah jongg, and poker. Bowling, aerobics, line dancers, cloggers, table tennis, and tennis clubs keep residents at Palm Cay in shape. Arts and crafts enthusiasts also have a place, at the craft club, art club, and quilting club. Palm Cay also has a singles club, where singles can enjoy going to planned social events together. A couple of residents also run an extensive video library, where residents can check out movies on VHS and DVD. Palm Cay truly is a caring and intimate community, it even has what is called the Sunshine club, which takes care of cheering up friends and neighbors who are going through tough times. Ocala, Florida has many opportunities for shopping, dining, and nightlife and a year round schedule of events. There are numerous golf courses, and some of the other most popular attractions in the area are: the Central Florida Symphony Orchestra, the Discovery Center, the Golden Ocala Golf and Equestrian Club, and the Crystal River Archaeological State Park. Some fun activities to partake in are Florida Manatee tours, Ocala's First Ghost and Paranormal History Tour, and Lazy River Cruises. Ocala residents only need to drive about an hour either way to get to the ocean. About an hour southeast of Ocala is Orlando that's full of entertainment and attractions for everyone. Palm Cay is a charming active adult community with plenty to offer 55+ homeowners in Marion County, Florida. There are plenty of activities available in Palm Cay. Here is a sample of some of the clubs, activities and classes offered here. Residents of Palm Cay enjoy great low-maintenance single-family homes available on a resale only basis. These homes offer one to three bedrooms, one to two bathrooms and an attached one to two-car garage. These homes were designed with active adults in mind with open floor plans and convenient single-level living. 55places.com is not affiliated with the developer(s) or homeowners association of Palm Cay. The information you submit is distributed to a 55places.com Partner Agent, who is a licensed real estate agent. The information regarding Palm Cay has not been verified or approved by the developer or homeowners association. Please verify all information prior to purchasing. 55places.com is not responsible for any errors regarding the information displayed on this website.